Electric fireplaces and electric fireplace inserts are becoming increasingly popular as people seek ways to reduce their heat bill and conserve more energy. Fireplace manufacturers are also realizing that being able to offer a variety of fireplace types is important as well. According to the Hearth, Patio and Barbecue Association, consumers purchased around 1,400,000 electric hearth appliances in 2010. 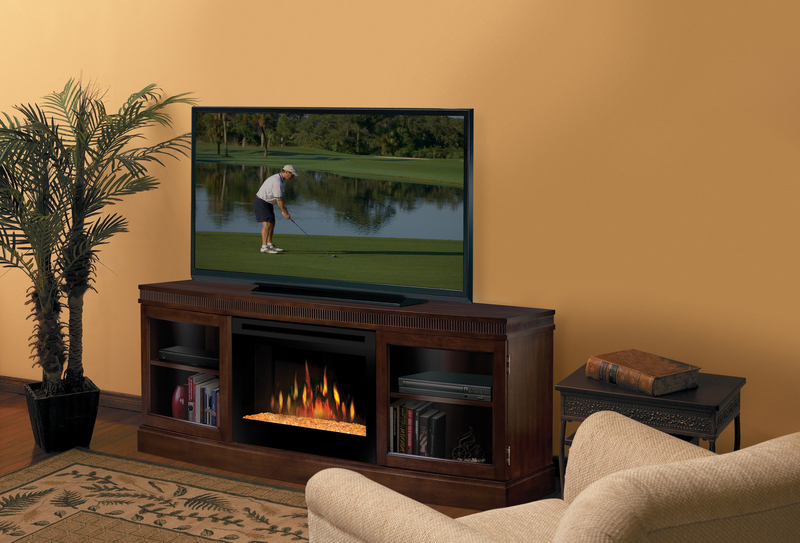 A large number of units bought were electric fireplace inserts. Two popular electric fireplaces are Twin Star’s Baxter fireplace and Dimplex’s newly launched Wickford. Both are more than just fireplaces–they are also media consoles. Along with the fireplaces, they come with storage areas and space for flat screen televisions. The Baxter features a beautiful empire cherry finish along with a matchbook pattern crowning the cabinet and a sturdy box-style base. The Wickford features a rich burnished walnut finish along with convenient framed glass cabinet doors and sturdy shelves. These media console fireplaces are especially popular for people who are short on space, but want to have the luxury of a nice fireplace. Electric fireplaces also tend to be cheaper than traditional wood-burning fireplaces and they leave a smaller carbon footprint for those who want to be environmental conscious.